So You Think You Can Mom? 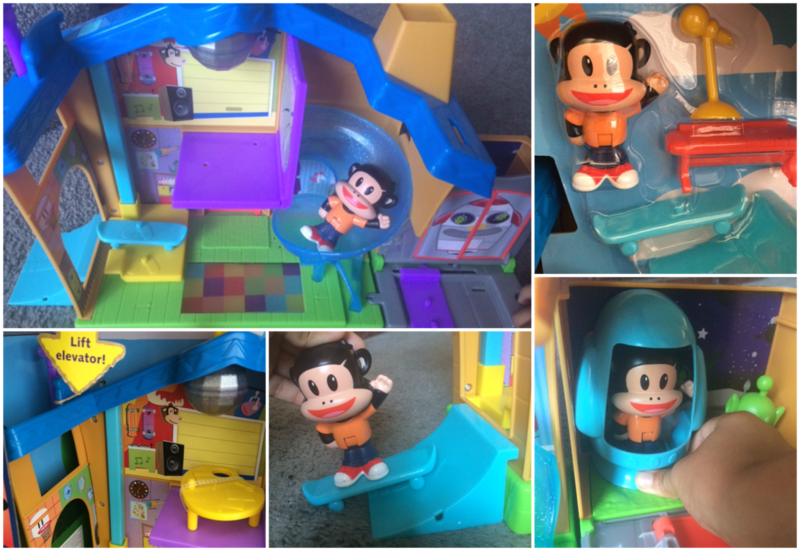 : New Julius Jr. Toys by Fisher Price! New Julius Jr. Toys by Fisher Price! This Fall, Fisher Price is launching a new line of Julius Jr. toys and they are just as cute as I imagined they would be. My biggest Julius Jr. fan was so excited when one of these adorable toys landed on our doorstep! The Rock'n Playhouse Box from Fisher Price brings the playhouse from the Julius Jr. series to life with loads of fun features that your little Julius Jr. fan is sure to love. Every floor of this playhouse includes lights and sounds! It also includes a 3" Julius Jr. figure, art table, keyboard, microphone, skateboard ramp, skateboard, telescope, rocket and alien play pieces. With that many pieces to play with, the creative possibilities are endless! The absolute best part of the Rock'n Playhouse Box is the light-up dance floor! Not only does it light-up when you push it, but it plays 4 different songs. One of them is "Best Friends" from the series. 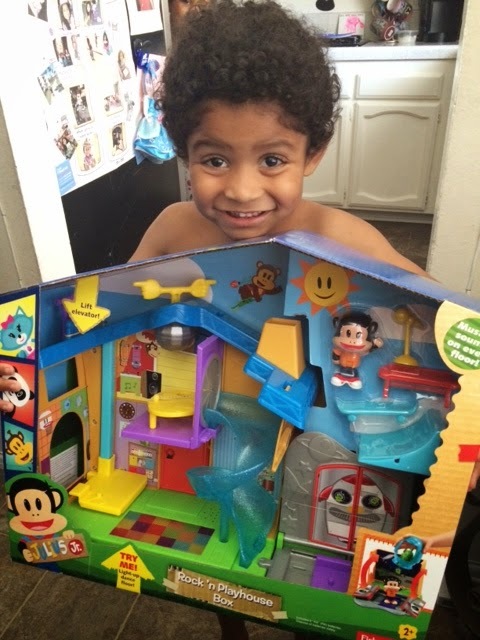 The Rock'n Playhouse Box is currently available at Toys R Us, along with a few other awesome Julius Jr. play sets that attach to the Playhouse to keep the fun going. Stay on the lookout for the Sortin' Sagebrush Farm and the Twirl-a-World Amusement Park which are just perfect for extended play! Disclosure: I was not compensated for this post. As a Saban Brand-Bassador, I received sample products in order to facilitate my review. These are just my two cents!